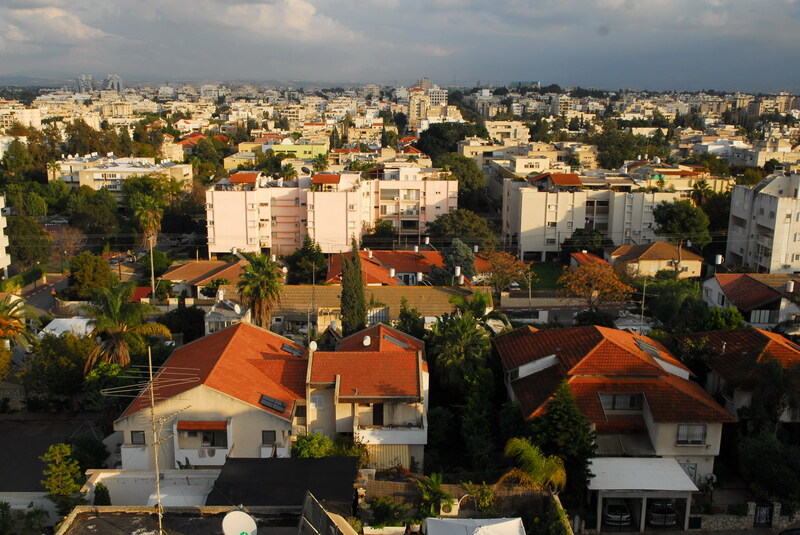 Ra’anana was founded in the early 1920s by a group of New Yorkers as an agricultural settlement. Since that time, the city of Ra’anana has only grown in popularity, especially among Olim from North America and the rest of the world. From a population of 9 residents in 1922 to 300 in 1948, Ra’anana’s population has grown to over 80,000 residents. Ra’anana has also come a long way from its agricultural origins to a well-developed city that employs thousands and also serves as a bedroom community for Tel Aviv. The city is well-planned, well-managed, and has won the award for being the Most Beautiful and Clean City over the last several years. Many of the residents work in the greater Tel Aviv area, while some travel further distances. There is a well-defined telecommuter community within Ra’anana, as well as people with home-based businesses. There is an industrial zone in the north side of the city, which is home to the large Renanim shopping mall and houses many hi-tech companies, such as Waze, HP and RedHat as well as Eric Cohen Books. In addition, there is an office complex on the eastern edge of the city, which houses Amdocs and Microsoft’s head office for Israel. The city has a wide variety of preschools, and an assortment of both secular and religious schools on the elementary, junior and high school levels. The city also has exceptional programs for preschool children with special needs. It is worth noting that the Tali school in Ra’anana is one of the most outstanding in the country. This school is particularly suited to those coming from the Solomon Schechter school system. Schools in Ra’anana are well equipped to accommodate the various special needs of their students. Extensive services are offered for native English speakers and the schools endeavor to smooth the transition of English-speaking Olim to the Israeli system. Services are provided to children with special needs both through the school system and through the nonprofit organization Beit Issie Shapiro (www.beitissie.co.il), located in Ra’anana. Youth groups for all denominations exist in the city. Ra’anana is home to the Open University of Israel and Ra’anana College. There is good public transportation infrastructure for those traveling throughout the center regions from Ra’anana, as well as intracity transportation. The train stations in nearby Herzliya and Kfar Saba provide access to the greater Tel Aviv area. There is an express bus to Tel Aviv on the Metropolin line. Ra’anana has an excellent absorption center, which offers a wide range of services both for those who are living there and those living in the larger community. (Click here for specific information on the absorption center.) The center offers Ulpanim on a variety of levels, daycare, and counseling services. 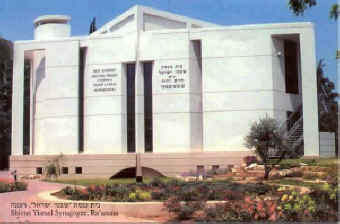 Synagogues in Ra’anana play a special role in welcoming new Olim. They provide an opportunity for social interaction and a forum for exchanging absorption strategies. There is after-school assistance for elementary school students. The Ostrovsky high school houses the city Ulpan for high school-aged children. Ra’anana provides a wide range of cultural and entertainment options. It has a movie theater, a library (with a well-stocked English section), country clubs, pools, nightclubs, and a mall. 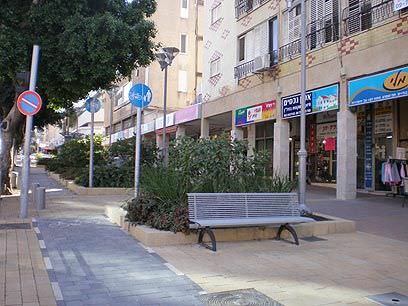 Commercial establishments located in the center of the city are closed on Shabbat, while establishments located in the industrial section outside of town are open. There are beautiful playgrounds every few blocks and Park Ra’anana (Ra’anana’s “Central Park”) contains a man-made lake and amphitheatre. The park also has a section designed specifically for children with special needs, called Park Haverim. The municipality of Ra’anana sponsors it’s own orchestra, the Ra’anana Symphonette. The Matnasim (community centers) are lauded by the residents for their vast array of programming – for residents of all ages. Ra’anana’s population is religiously diverse. While a majority of the city’s residents identify as secular, approximately 25 percent of Ra’anana residents identify themselves as religious, with about 85 percent of those residents being Religious-Zionist. There is also a small Haredi community with a community Kollel – Kehilos Bnei Aharon, as well as sizable Conservative and Reform communities. At last count, there were 63 synagogues, including those of every type: Ashkenazi, Sefaradi, Yemenite, Shtiebele, Conservative, and Reform. Most of the Ashkenazi, Conservative and Reform synagogues have sizable populations of English speakers. Ra’anana also has many learning opportunities available for adults, including the Midrasha (Torah study group), the Jewish Outreach Center at the Ohel Ari synagogue, and the well-established MaTaN Institute for women. In addition, there is an active Ra’anana Community Kollel. All of these programs offer Shiurim and programs in English and you can also find Shiurim for people who work North American hours. Ra’anana is home to two Hesder Yeshivot as well. Ariel, Bilu and Yavne are the three most popular Ra’anana neighborhoods for Olim. The religious community generally lives on the north side of the city, and the secular community on the southern sides.